The following is what you can expect to find throughout the week at the Brewseum®. Experience our one-of-a-kind carrier landing simulator with friends and family and cheer on the pilots who land on the deck at our Tailhook Tuesday evenings! Flight ops start at 5pm and landings end at 10 - fly on down! Our great craft beer selection can be enjoyed in one of our custom propeller flights. Food trucks serve up great chow! The Museum & Wiki Waki Woo speakeasy is open 5pm-8pm & the Home of the Brave Brewseum is open from 5-11pm next door. 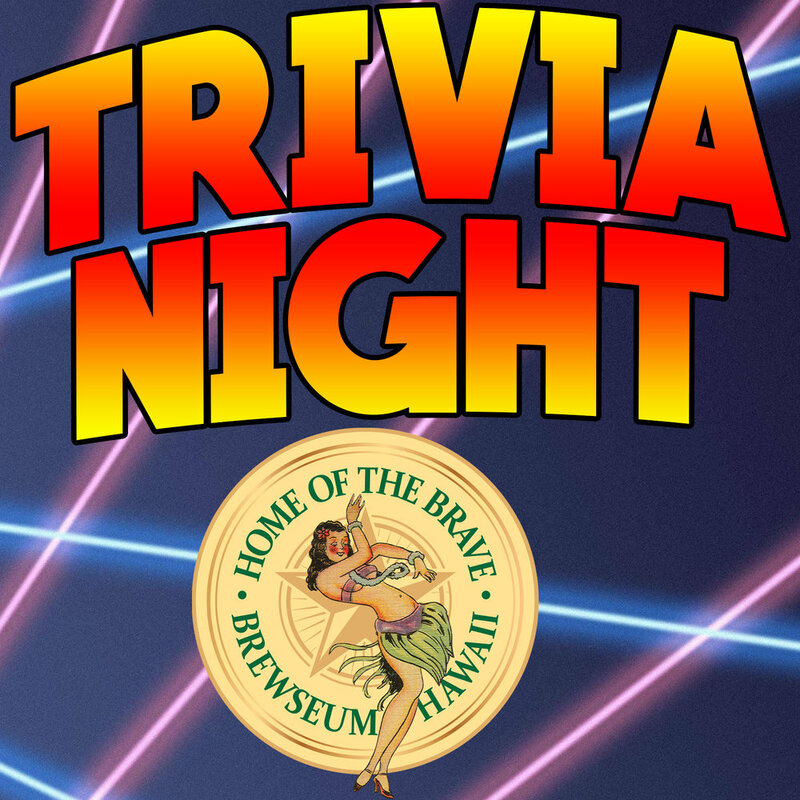 Experience our weekly trivia night at the Brewseum® & Wiki Waki Woo. Brewseum trivia is a fast paced interactive trivia game from 6-8pm using TV's, HD projectors & custom slides with new questions every week! Lots of Fun for all ages in the Brewseum, Wiki Waki Woo, & Home of the Brave Musuem. Great craft beer, cocktails (in the Wiki Waki Woo), & photo ops everywhere! Fascinating hands-on history in our experiential WWII museum. 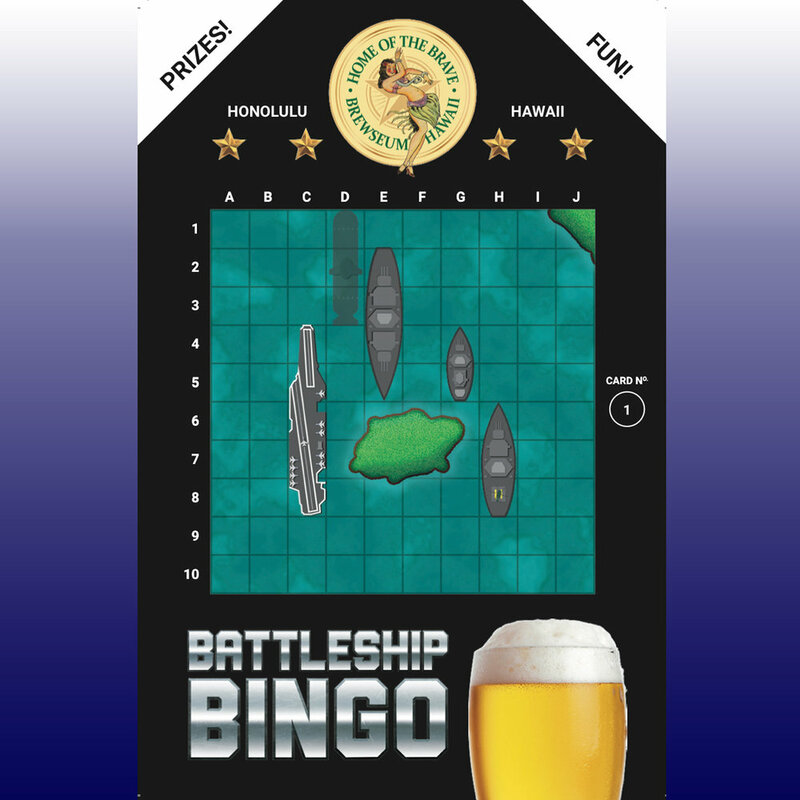 Join us for Hawaii’s only Battleship Bingo in the Brewseum. Coordinates are called out at 6 & 7pm. Lots of fun for the whole family. Prizes & happy hour prices throughout the game!